Thus the Halloween tree was born. It doesn't just serve the purpose of being our wedding tree, it comes out early as a Halloween tree! 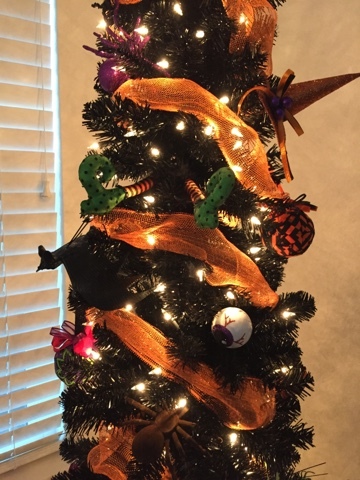 My husband loves Halloween so doing a Halloween tree showed it's not just a Christmas tree. This tree is 7 feet tall and came pre-lit with white lights. The fabric ornaments were handcrafted by me. 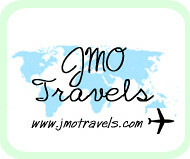 If you want to see them in detail you can go here or here. The other ornaments were found at the craft store and honestly the dollar store. Items like the big orange spider and the spiders around the tree, the rat and the bats were all items I found at the dollar store. They aren't particularly ornaments but you can place them to sit on the branches. The garland is mesh used for wreaths and I found it at the dollar store. This tree took 3 rolls. I'm really happy with how the tree turned out. The people who have seen it so far love it which makes my heart happy. Now once Halloween is over the tree will be relocated to a different room and the decorations will get traded out for our wedding ones. So be honest. 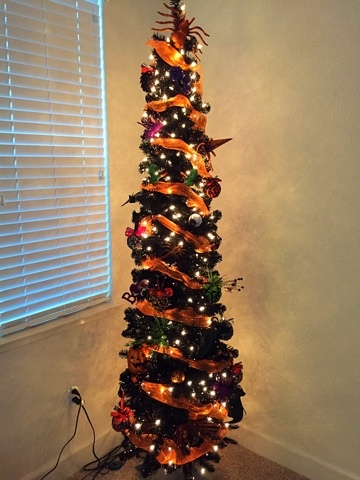 What do you thin of our Halloween tree? Do you decorate for Halloween? I love this tree and your handmade ornaments are so cute! Looks awesome, and the slenderness adds to the overall look and doesn't make it look christmassy.